Have you heard about the benefits of supplementing your diet and exercise with colostrum? Colostrum can be derived from bovine milk and may be able to provide you with several potential health improvements. Douglas Labs now offers a high quality colostrum supplement that fits into your lifestyle with convenience. 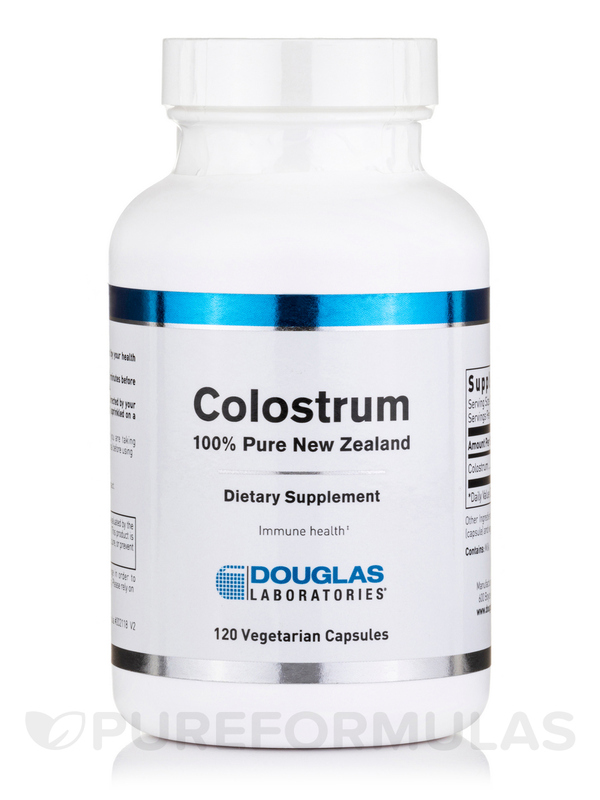 Douglas Labs’ Colostrum vegetarian capsules contain 1‚000 mg of pure 100% New Zealand colostrum in each serving. Colostrum may offer benefits involving energy production‚ muscle maintenance‚ growth‚ and stamina. Colostrum may also potentially balance healthy GI tract functions as well as intestinal microflora growth. 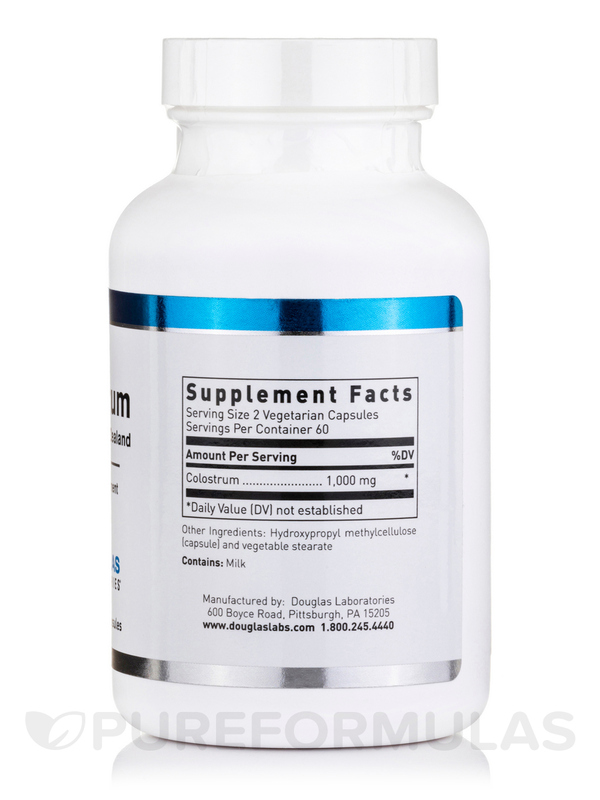 Douglas Labs’ Colostrum vegetarian capsules may be taken up to 4 times daily or as directed by your healthcare professional. Please consult with a professional before using Colostrum if you are lactose intolerant or have a dairy allergy. Take advantage of the benefits of a high quality colostrum supplement. 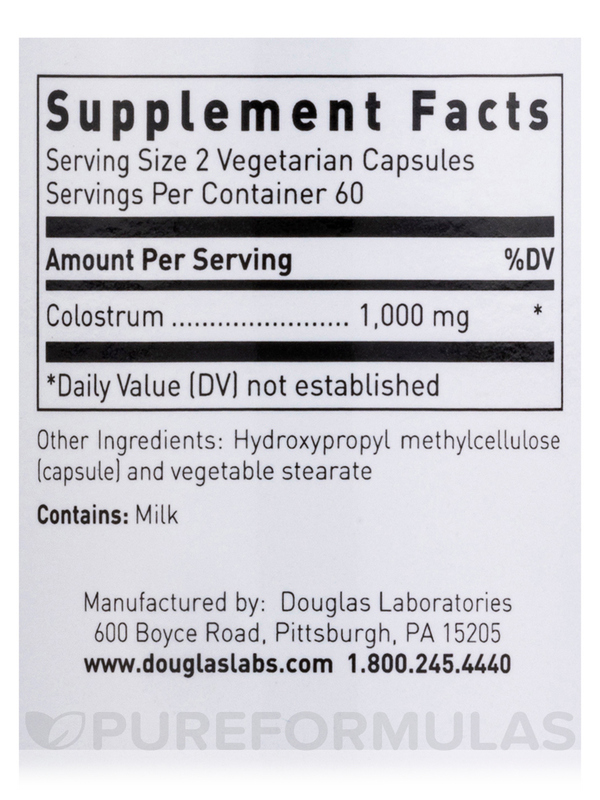 Order Douglas Labs’ Colostrum vegetarian capsules from PureFormulas today! Other Ingredients: Hydroxypropyl methylcellulose (capsule)‚ vegetable stearate. This product contains no yeast‚ wheat‚ gluten‚ soy‚ corn‚ sodium‚ sugar‚ starch‚ artificial coloring‚ artificial preservatives‚ artificial flavoring‚ or genetically modified organisms (GMOs). 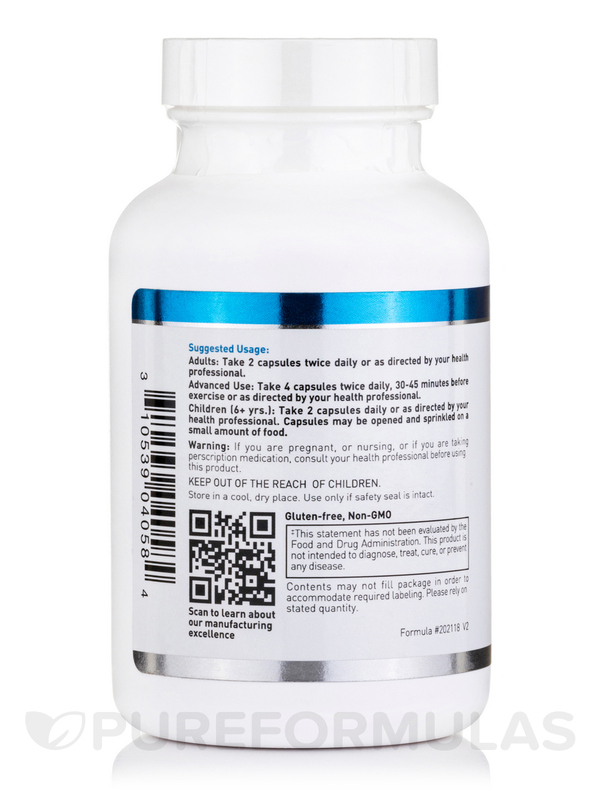 Advanced Use: Take 4 capsules twice daily‚ 30-45 minutes before exercise. 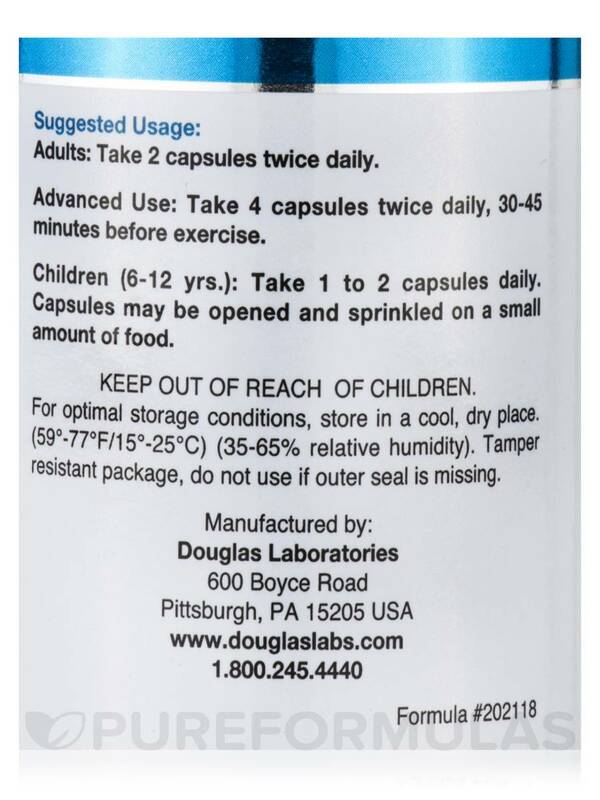 Children (6-12 years): Take 1 to 2 capsules daily. 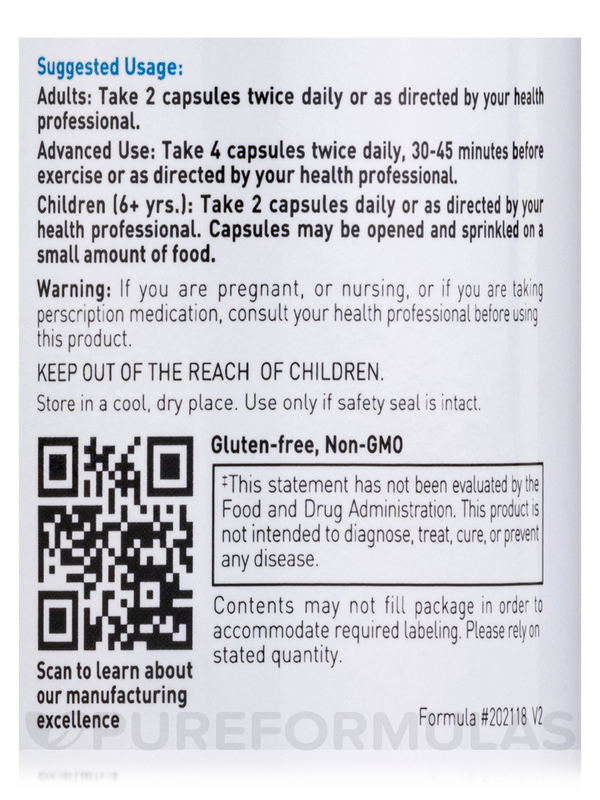 Capsules may be opened and sprinkled on a small amount of food. Keep out of reach of children. For optimal storage conditions‚ store in a cool‚ dry place. (59°-77°F/15°-25°C) (35-65% relative humidity). Tamper resistant package‚ do not use if outer seal is missing.